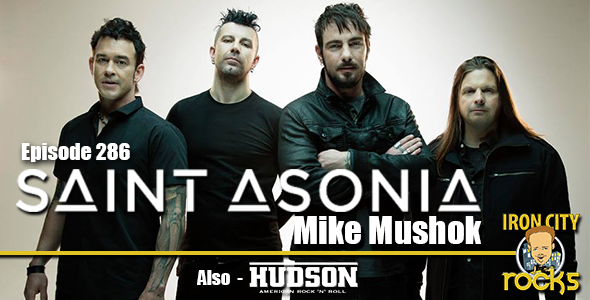 In Episode 286 of the Iron City Rocks Podcast we are joined by Saint Asonia and Staind guitarist Mike Mushok. Mike talks with us about how the band came together, the writing process of the new album and touring. We are also joined by David Hudson and CHRIS Llewellyn of the band HUDSON. HUDSON are set to release their newest EP, Cast Out, later this week.